Every Punjabi mother dreams of a world where she cooks all day and her children eat all day. There are few vegetarian dishes every Punjabi mother swears by. These staples made up most of my childhood and continue to delight my tastebuds even today. For instance Rajma Chawal (red kidney bean stew with rice), Kaali Dal aur paratha (creamy black lentils with crispy flatbread), Kadhi Chawal (Chickpea flour and yogurt curry with rice), Aloo Paratha ( Potato stuffed crispy flatbread) and finally Aloo Gobi (potato with cauliflower). So far I’ve brought you recipes for Rajma, Kaali Dal, Kadhi, and Parathas. 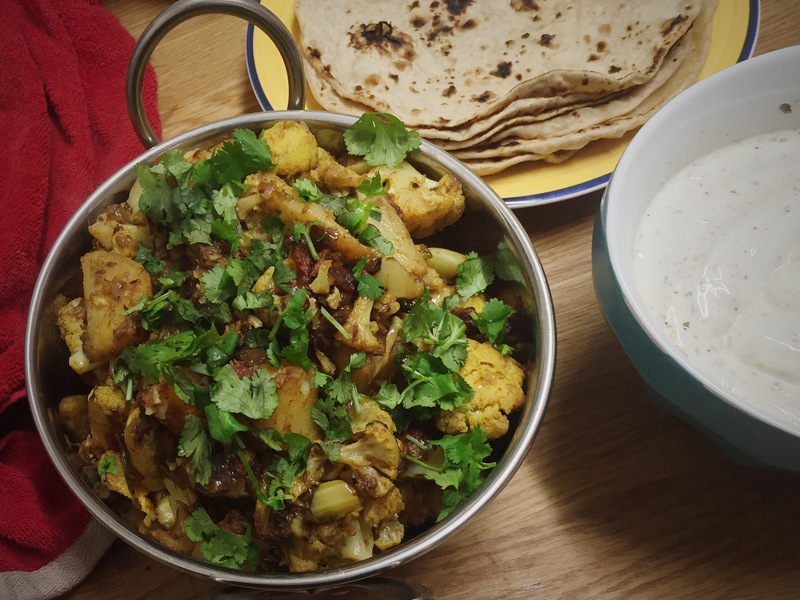 Therefore it only makes sense to add Aloo Gobi, another lip smackingly delicious dish to sort of complete your vegetarian Punjabi repertoire. 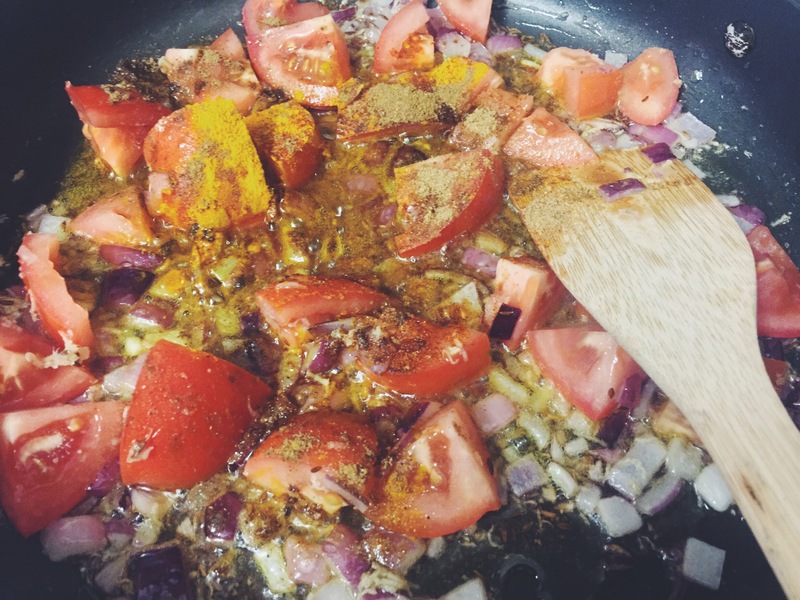 There are many different ways to make aloo gobi but my favourite is cooking it in a onion, ginger and tomato paste with loads of garam masala, cumin and coriander powder. 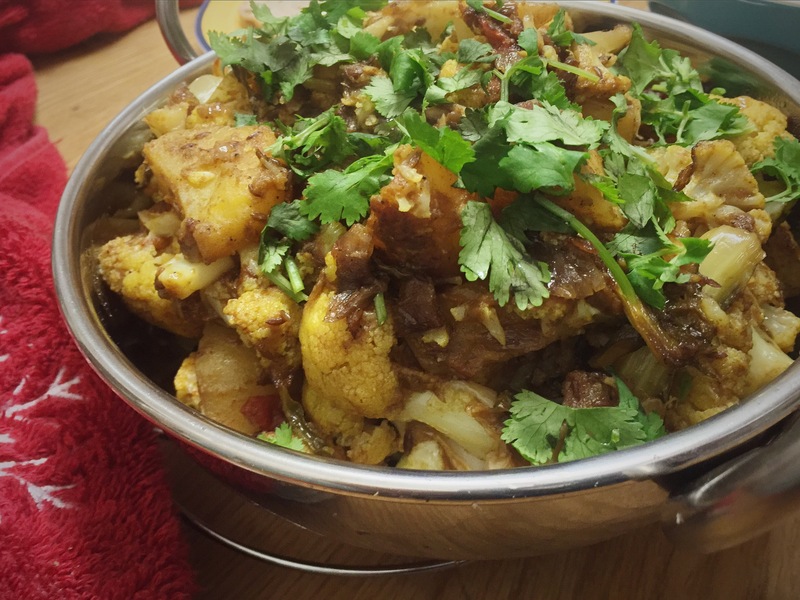 So without further ado here’s the recipe for masala aloo gobi. Heat ghee in a heavy bottom pan. Add cumin seeds and let them splutter. Once aromatic add onion, cook until lightly caramelised. Now add tomatoes, grated ginger, one teaspoon of garam masala and all the other dried spices. Once the tomatoes are soft, add potatoes and mix well. Cover the pan and cook the potatoes for five to seven minutes on a medium heat. Now add the cauliflower, stalks, remaining garam masala and season with salt. Mix well, cover the pan and cook the vegetables on a medium heat for 20 – 25 minutes. 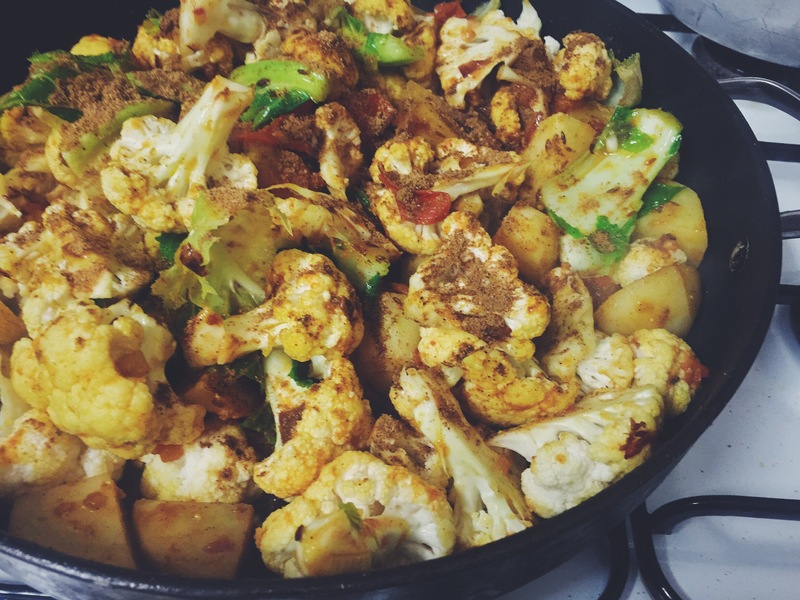 From time to time stir the aloo gobi to cook it evenly. 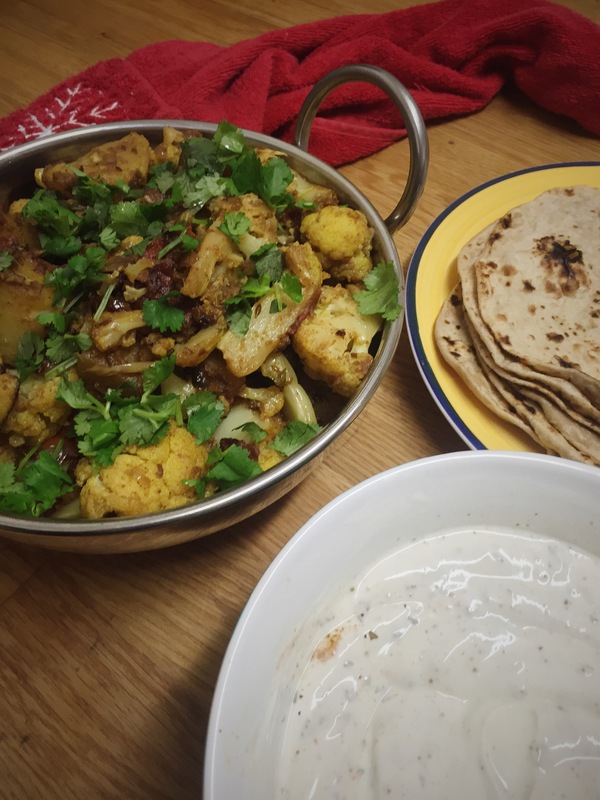 Take the lid of at this point, cook the aloo gobi on a high heat to crisp it up for about four to five minutes. Your lip smackingly delicious aloo gobi is ready to serve. It’s best eaten as a side along with dal, rotis and rice. Alternatively it can also be served with a nice piece of fish and some salad. I agree this looks just fabulous! Indian food is my favorite!